Jussie Smollett has lost a starring role in the forthcoming Broadway reboot of the Tony-winning play Take Me Out, sources tell the Daily Mail. The actor was reportedly slated to play main character Darren Lemming, a mixed-race baseball player who comes out as gay at the peak of his career and ultimately suffers an attack by a teammate hurling racial and homophobic slurs. Smollett read for the role alongside his intended co-star Zachary Quinto on the day before an alleged hate crime against the Empire star in Chicago, according to a previous Daily Mail report. A source described as a “Broadway insider” tells the newspaper that Smollett and Quinto’s castings were to be announced last month, but “everything shifted” after evidence emerged that the attack against Smollett appeared to be staged. 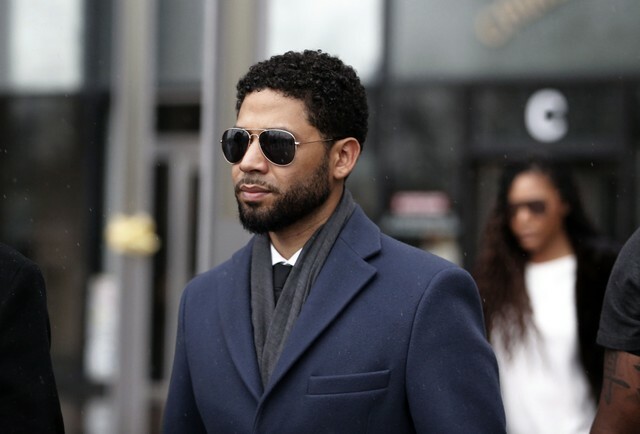 The report comes amid Smollett’s ongoing legal battle with the city of Chicago, which has sued the actor to demand reimbursement for investigative costs. Smollett has denied staging the altercation. Charges against him for filing a false police report were dropped last month. While the trial was ongoing, Smollett did not appear in the final two episodes of Empire’s fifth season.